Unison Media's acclaimed concert series The Crypt Sessions (in the Crypt under the Church of the Intercession in Harlem, NY) will kick off its fourth season on February 5, 2019, with a performance of Olivier Messiaen's Quartet for the End of Time, performed by a luxury-cast ensemble of Stefan Jackiw (violin), Jay Campbell (cello), Yoonah Kim (clarinet), and Orion Weiss (piano). 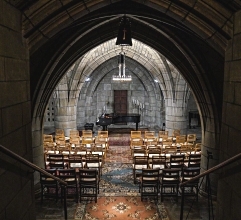 Tickets for the performance will go on sale January 3, 2019, alongside an exciting announcement about The Crypt Sessions, and Unison's other series, The Angel's Share (which takes place in the Catacombs of The Green-Wood Cemetery in Brooklyn, NY). December 31 2018, featuring soprano Mary Wilson and countertenor Aryeh Nussbaum Cohen. American Bach Soloists • Jeffrey Thomas conductor. One performance only: Monday December 31 2018 4:00 p.m., Herbst Theater, San Francisco, CA. This special event, presented in San Francisco's beautiful Herbst Theatre--a cornerstone and jewel among the city's most prestigious venues--will feature one of the opera world's exciting new vocal talents, countertenor Aryeh Nussbaum Cohen. The 2017 Metropolitan Opera National Young Artists Award Winner, former Merola Opera Program participant, 2018 San Francisco Opera Adler Fellow, and ABS Academy alumnus has been capturing the hearts of opera lovers around the world. Aryeh Nussbaum Cohen will be featured in arias by Handel and Gluck. The New York Times wrote that the young breakout artist "possesses a remarkable gift for intimate communication in a vast hall, combined with a voice of velvety gentleness--surprisingly penetrating given the tenderness of its texture — and a taste for adventure.… Expressive yet dignified, his phrasing confident and his ornamentation stylishly discreet, he brought tears to my eyes." We want to wish you all a very happy holiday season and a joyous New Year! This has been another great year for the orchestra, with performances at Lincoln Center, the Bohemian National Hall, and in Washington, D.C. at the Phillips Collection and American University. We have also completed a successful Kickstarter campaign, with your help, to help fund our world-premiere commercial recording of Dame Ethel Smyth's The Prison, scheduled for 2019. We can't do any of this without your help. If you have been waiting to donate until the end of the year, it is now officially the end of the year! Please help support our future programming by clicking donate, or by writing a check as below. All donations are fully tax-deductible. With thanks for your role in making all of this happen–with EXO, you are truly inside the orchestra, and you are all an essential part of what we do. With unforgetable performances of Mozart, Vivaldi, and Bach now behind us, we enter 2019 anticipating more incredible music with violinist Rachel Barton Pine in Feburary, mezzo-soprano Anne Sofie von Otter in March, and Aryeh Nussbaum Cohen in Handel's Saul in April. We couldn't do it without you--our friends and supporters! From the Philharmonia Baroque Orchestra and Chorale's family to yours, we wish you a very Happy New Year and look forward to sharing more music together in 2019. 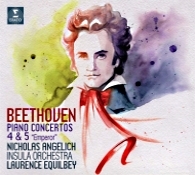 I have often written on this site about fabulous buys, bargains among bargains, things like the Beethoven Fifth and Seventh Symphonies with Carlos Kleiber on a single DG Originals or the Dvorak Seventh, Eighth, and Ninth Symphonies with Sir Colin Davis in a Philips Duo set, each of which packages two or three great performances on one or two mid-priced discs. Well, this particular Philips Duo, issued by the company in the late Nineties, may have even them beat. Of the five concertos on the two discs, there are three works--the Grieg, Schumann, and Addinsell--that are number-one choices in my book. 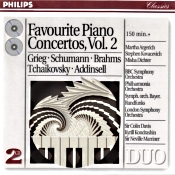 And the other two recordings--the Brahms and Tchaikovsky--are among a handful of my top choices. In fact, I have been recommending most of these items for years. Here, they all come for the cost of a single mid-priced set. Incredible. The Grieg and Schumann concertos with Stephen Kovacevich are outstanding, and until this release they were available only at full price. The sound is slightly warmer than necessary for good definition, but it is more than acceptable. The Brahms, also from Kovacevich, is as powerful and lyrical as one could ask for. I believe it even beats Kovacevich's later EMI recording in performance, if not in sound, which is only slightly less warm and soft than the aforementioned Grieg and Schumann. Second only to Gilels on DG, Kovacevich's Brahms is the one to own, and now you can have it along with four other great performances. Martha Argerich's Tchaikovsky First Piano Concerto is probably a first-choice for many people. I still think her earlier account on DG is more satisfying, as is Cliburn's on RCA, but there is no doubting that this live Philips performance is more energetic than the others. And it's pretty well recorded, too, despite its being live. Finally, the little, one-movement Warsaw Concerto from Richard Addinsell, composed for the 1941 film Dangerous Moonlight, has seldom gotten such good treatment as this one from pianist Misha Dichter and Sir Neville Marriner, and the sound here is the best of any in the set. All of the recordings derive from the Seventies and Eighties, and all of them have already withstood the test of time. This particular incarnation should have already won them some new fans, and I hope it continues to do so. Also, Trumpet Concerto; Valley of Vision; Elegiac Rhapsody. Alexander Sitkovetsky, violin; Simon Desbruslais, trumpet; Kenneth Woods, English Symphony Orchestra, English String Orchestra. Nimbus Alliance NI 6374. 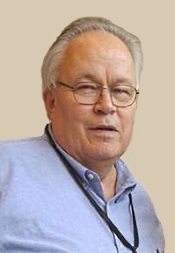 British composer Philip Sawyers (b. 1951) has found some of his major fame no doubt from the Nimbus recordings of his works conducted by Kenneth Woods, with four discs now available. 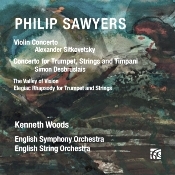 In 2015 the English Symphony Orchestra, of which Woods is Artistic Director and Principal Conductor, appointed Sawyers their John McCabe Composer in Association, with various commissions including a song cycle, the violin and trumpet concertos found here, and several symphonies, of which I reviewed the Third a year or so ago. Sawyers's Web site informs us that his "works have been performed and broadcast in many countries worldwide including the USA, Canada, Spain, Austria, Czech Republic, France and UK." 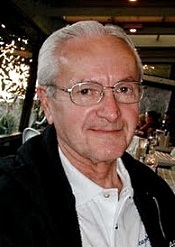 Music-web International described his orchestral work as "music of instant appeal and enduring quality." So, on the present disc we get two longer Sawyers pieces of almost thirty minutes each and two slightly shorter pieces. It seems to be a good representation of the man's output, which runs high to somewhat dark, moody, sorrowful, yet completely accessible, never sad tunes. The program begins with the Violin Concerto, completed in 2016, with violin solo by Alexander Sitkovetsky and accompanied by Maestro Woods and the English Symphony Orchestra. Sawyers is also a violinist, and when Woods suggested he do a violin concerto, he jumped at the opportunity. The piece opens with a theme from Sawyers's Third Symphony, so it may sound familiar. To be honest, though, as I said above, Sawyers's music often appears dark and moody to me, so it all tends to sound familiar. Anyway, the violin dominates the proceedings, as expected, alternating agitated solo passages with tempestuous dialogues with the orchestra. Woods has a good instinct for where the soloist is going, too, and the two work seamlessly together. The opening movement ends calmly, leading into a melodically reflective Andante touched by melancholy. Again, the violin towers above the orchestra, sounding ever more unsettled as the music moves along, reaching a final movement that is surprisingly playful. Sawyers describes it as all "hustle and bustle" and tells Woods "the violin is my instrument, and if it didn't make me happy, it will have been a bit of a waste to have played it my whole life." It's all quite attractive, with Mr. Sitkovetsky playing brilliantly and Woods and the English Symphony supporting him with conviction. Next, we get The Valley of Vision from 2017. It is Sawyers's musical response to some of the paintings of English artist Samuel Palmer (1805-1881), which themselves represented the countryside around Palmer's home in Shoreham, Kent. Sawyers tells us he did not intend for the five sections of the work to be programmatic but, instead, I guess more impressionistic. Here, Sawyers sounds more than ever like the English pastoral composers of the previous century--Arnold Bax, perhaps, Frank Bridge, Frederick Delius, Percy Grainger, Ralph Vaughan Williams, and the like. In any case, the music is lovely and evocative. And so it goes with the Concerto for Trumpet, Strings, and Timpani (2015), with trumpet solo by Simon Desbruslais and accompaniment by Woods and the English String Orchestra (the English Symphony Orchestra began as the English String Orchestra in 1978, and as their repertoire expanded the orchestra grew larger and today performs under both appellations as the occasion demands). As one might expect for a combination of trumpet and timpani, the music is more dramatic, more martial, and more aggressively rhythmic than anything else on the program. Still, there's a charming central movement that is both lyric and ardent. Certainly, it is well performed by everyone involved, yet it failed to affect me the way the violin concerto did, perhaps because of its blunter edges. The agenda concludes with the Elegiac Rhapsody for trumpet and strings (2016), performed by Desbruslais, Woods, and the English String Orchestra. The work's title aptly describes its content, the work commissioned as a remembrance of the death of British composer and pianist John McCabe (1939-2015). Although on a more somber level, this final piece sounds almost like a continuation of Sawyers's trumpet concerto and could probably have as well served as the slow movement. Whatever, it is a radiant tribute to McCabe, performed with discernable compassion. Producer, editor, and engineer Simon Fox-Gal recorded the first four tracks at Hereford Shirehall in February 2018; producer, editor, and engineer Adam Binks recorded tracks five through eight at the Church of St. George's, Worcester in October 2017. The folks at Nimbus have always produced good sounding recordings, and this one continues the pattern. It seems a tad closer than most of their work, especially the solos, but it delivers excellent clarity, with a fine sense of depth and space. Detailing is fine as well, accompanied by a realistic but not overpowering dynamic range and impact. Under the artistic leadership of General Director Mark Streshinsky and Music Director Jonathan Khuner, West Edge Opera announces venue and casting for its 2019 Festival, which takes place August 3 though August 18.
at 3:00 and Thursday, August 15 at 8:30.
performances Friday, August 9 at 8:30 and Saturday, August 17 at 8:30. August 16 at 8:30 and Sunday, August 18 at 3:00.
be purchased online at westedgeopera.org or by calling (510) 841-1903. Maestro Gustavo Dudamel's residency at Princeton University Concerts, in honor of our 125th anniversary, will continue January 7-9, 2019. Members of the press only are invited to a press conference during this visit with Maestro Dudamel and Princeton University Concerts Director Marna Seltzer on Monday, January 7 at 2:45PM. Residency events during this January visit include performances by musicians from the Los Angeles Philharmonic, students from the El Sistema-inspired Youth Orchestra of Los Angeles, a conversation in Spanish with Maestro Dudamel, a gallery reception for works by local artist Marsha Levin-Rojer, and two panel discussions with Maestro Dudamel: one about the "El Sistema" music education program, and one about Art and Faith. We have great news: Amadeus Cruises has extended our commitment deadline to January 14, 2019! Don't miss out on this once-in-a-lifetime opportunity to be one of only 50 lucky Festival Mozaic enthusiasts to be a part of this extraordinary 50th Anniversary cruise on the Danube! Amadeus Cruises has created a special itinerary that is designed especially for classical music lovers – with private classical concerts that will be exclusive to our group, in spectacular venues such as the Salzburg Mozarteum, Melk Abbey, and Duna Palace. Join us in this unique fundraising opportunity to celebrate Festival Mozaic's 50th Anniversary and to honor our beginnings as the Mozart Festival. Learn more at www.festivalmozaic.com/cruise; and contact Happy Pilgrims Travel at todd@happypilgrimstravel.com or 805-835-2545. Returning to her alma mater with a Chicago premiere, Inna Faliks, an alumna of the Music Institute of Chicago and daughter of faculty member Irene Faliks, brings her autobiographical concert-monologue to Nichols Concert Hall, 1490 Chicago Ave., Evanston, Illinois on Sunday, February 10 at 3 p.m.
"Polonaise-Fantaisie: The Story of a Pianist" traces Faliks' journey from the former Soviet Union to the freedom of the United States and a life in music. She tells her incredible story while playing music that spans 289 years, running the gamut from Bach and Mozart to contemporary composer Jan Freidlin, interspersed with her own writings chronicling her upbringing in Odessa, Ukraine; her musical and romantic awakenings; and her immigration to the U.S. as a Jewish refugee. Inna Faliks in "Polonaise-Fantaisie: The Story of a Pianist" takes place Sunday, February 10 at 3 p.m. at Nichols Concert Hall, 1490 Chicago Ave., Evanston, Il. Tickets are $50 for VIP seating, $40 for adults, $25 for senior citizens, and $15 for students. Tickets are available by calling 847.448.8328 or 800.838.3006 or at musicinst.org/faculty-guest-artist-series. German baritone Benjamin Appl, hailed as "the current front-runner in the new generation of Lieder singers," by Gramophone magazine, will embark on his first U.S. recital tour with pianist James Baillieu from January 6-20, 2019, performing in New York, NY (January 6, 8, 10; Park Avenue Armory); Portland, OR (January 13, Portland Friends of Chamber Music); New Orleans, LA (January 15, 16; New Orleans Friends of Music); Cleveland, OH (January 18, Art Song Festival at CIM; and Washington, DC (January 20, The Phillips Collection). 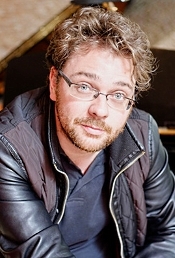 Benjamin Appl was mentored by one of the greatest singers of the twentieth century, Dietrich Fischer-Dieskau, and records exclusively for Sony Classical. 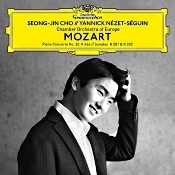 His U.S. tour follows his second Sony album featuring the music of J.S. Bach, which was released in September 2018. With performances described as "simultaneously ravishing and reverential" by the The Los Angeles Times, the London-based Orlando Consort returns to perform a collection of sublime sacred music from the first part of the 16th century. The period is marked by unprecedented richness in music, with text settings that often went beyond the confines of the usual daily liturgy. Joined for this concert by bass Robert Macdonald, the Consort performs a program of works by Josquin des Prez, Clemens non Papa, Nicolas Gombert, and others, concluding with Lamentations by English Tudor composer Robert White. Saturday, January 26, 2019, 8:00 p.m.
On January 26, Nu Deco will be performing on Miami Beach for their annual outdoor North Beach Bandshell performance. Hailed by Billboard Magazine as "a sonically spellbinding experience," this genre-bending program will be premiering new works by members of the ensemble, including electric guitarist Aaron Lebos of Aaron Lebos Reality, as well as keyboardist and drummer Jason Matthews and Armando Lopez. The ensemble will also be performing suites including music from modern artists such as Outkast, Daft Punk and more. Special guest performer to be announced in January. Tickets for the North Beach Bandshell can be purchased at Nu Deco Ensemble's website. For more information about Nu Deco Ensemble's fourth season, and to purchase tickets for all upcoming performances, please visit their website at www.nu-deco.org. Treefort Music Fest is an annual music and arts festival featuring over 400 bands plus film, art, comedy, yoga, and more across multiple venues in downtown Boise, Idaho in March. Now in it's eighth year and set for March 20-24th, Treefort Music Fest is excited to announce its second round of artists which include: Vince Staples, American Football, mewithoutYou, JPEGMAFIA, Cherry Glazerr, Sudan Archives, Flint Eastwood, TEEN, and many more. The full list of acts can be found at our Web site below. Be on the lookout for the final artist announcement in February! With the second artist announcement comes the release of the updated official Treefort Music Fest 2019 playlists, which can be found on Spotify, Soundcloud, and Apple Music. Web site: Jump inside the land of Treefort 8 to explore even more bands on the lineup. Five-day general admission passes are currently on sale for $200. The price will increase on March 1st when single day passes go on sale, so act fast! For additional ticket information, visit: http://www.treefortmusicfest.com. This winter, Great Performances and Great Performances at the Met present a special series of classical music programming starring world-renowned orchestras and leading opera vocalists. "A Symphonic Winter with Great Performances" features a brand new classical music special each week, beginning January 1 with the annual From Vienna: The New Year's Celebration 2019 concert hosted by Hugh Bonneville, and concludes February 1 with the broadcast premiere of the Metropolitan Opera's adaptation of the classic novel Marnie. Esa-Pekka Salonen, Los Angeles Philharmonic Orchestra. Sony SK 63301. Bruckner tried to write a literary program to go with his Fourth Symphony. For the First Movement he wrote: "A citadel of the Middle Ages. Daybreak. Reveille is sounded from the tower. The gates open. Knights on proud chargers leap forth. The magic of nature surrounds them." But by the last movement he admitted, "...I've forgotten completely what picture I had in mind." It doesn't matter. Even without the composer's program, the "Romantic" Symphony conjures up visions of beauty, grandeur, and majesty aplenty for all but the least imaginative listeners. Although Esa-Pekka Salonen's 1998 Sony release with the Los Angeles Philharmonic is perhaps too dependent upon his trying to convey the grandness of the music to lay claim to top honors, one cannot fault him for trying hard in admittedly so grand a work. Still, Salonen has some tough competition in this piece. Eugene Jochum (DG or EMI) does a better job conjuring up the mysticism of the nature motif; Otto Klemperer (EMI) holds the structure together better; and Karl Bohm (Decca) is probably best at maintaining the work's forward momentum. Salonen takes the slowest route; at almost seventy minutes long, the music tends to lag, and one wants to give the maestro a little nudge in the behind from time to time. Salonen tries heroically to sustain every note, mark every contrast, and coax the last ounce of splendor from the score, but he tries a little too hard. In the end, I was moved more by what the interpretation could have been than by what it was. Still, Salonen's effort is noble, and it's really hard not like Bruckner's lovely score no matter whose hands it's in. Sony's sound, recorded at the Dorothy Chandler Pavilion, Los Angeles, CA in May 1997 is big and full, with an enormous dynamic range. If Sony had made the recording in the really old, analogue days, Salonen's softest passages would have probably sunk beneath a surface of tape hiss. Here, in digital, the contrasts are splendidly dramatic, even if they appear more the work of the audio engineers than the conductor. Overall, too, the sound is a little dark and murky compared to, say, Klemperer (EMI) or Blomstedt (Denon), both of whom open up the stage more and allow us to hear further into the orchestra. 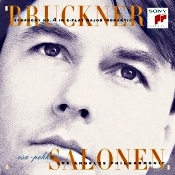 For the Bruckner fan and the Bruckner collector, I can recommend Salonen with little hesitation. For the first-time Bruckner buyer, however, maybe Klemperer, Bohm, or even the old Bruno Walter recording (Sony) would be safer places to start. Quartet San Francisco. Reference Recordings RR-143. It's always good news when Reference Recordings releases a new album. It's doubly good news when their chief engineer, Keith O. Johnson, does the recording. It's triply good news when they make it a studio production. And it's quadruply good news when the studio they make it in is the prestigious Skywalker Sound. 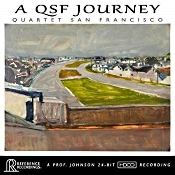 That the content of the album is contemporary material played by the excellent Quartet San Francisco (QSF) is like the icing on the cake. If I may quote from Wikipedia: "Quartet San Francisco is a non-traditional and eclectic string quartet led by violinist Jeremy Cohen. The group played their first concert in 2001 and has recorded five albums. Playing a wide range of music genres including jazz, blues, tango, swing, funk, and pop, the group challenges the traditional classical music foundation of the string quartet. "Quartet San Francisco won a tango music competition in New York in 2004, and their albums have been nominated five times for Grammy Awards: three in the Best Classical Crossover Album category and two for Best Engineered Album, Classical." 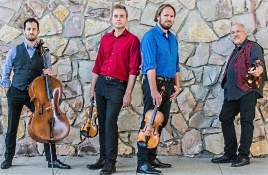 The group's current members are Jeremy Cohen, violin; Joseph Christianson, violin; Chad Kaltinger, viola; and Andres Vera, cello. They are consummate performers and work harmoniously with one another to form one of the most-accomplished and most-versatile quartets in the business. On the present album they play what they call "the spirit of our time," twelve relatively new tunes running high to tangos, most of them written or arranged by Mr. Cohen. The Argentine tango takes center stage in the first track, "Tango Eight," with lively rhythms introducing us to the QSF style. The quartet follows it with an even livelier tune called "Fiesta" by Helmut Lipsky that is quite exciting. For a change of pace, the group have chosen a more leisurely piece called "Tango Carnevale," which is a sort of slow tango. Cohen says he wrote it after spending evenings in the neighborhoods of Buenas Aires. It's lovely. And so it goes. The QSF play wonderfully well together, seeming to sense one another's movements instinctively and moving together as a whole, yet all the while emphasizing the unique contributions of each member. Thus, although each of the four musicians is a distinct individual with his own style, the combined result is one of effortless unanimity. They play together separately and together simultaneously. Favorites? Yes, twelve of them. However, if forced to choose just one, I'd say "Rhapsody in Bluegrass," a combination of Gershwin's "Rhapsody in Blue" and Ervin T. Rouse's bluegrass fiddle favorite "Orange Blossom Special." Classical, jazz, and bluegrass: What could be more natural, and what could go wrong? That nothing goes wrong and everything goes right is remarkable. "La Heroina" and "How Sweet the Sound" I also found effective in quite different ways, but to quibble about favorites in so entertaining an album would just be...quibbling. Let's call this one of my favorite albums of the year and be done with it. Producers Victor Ledin and Marina A. Ledin, executive producer Marcia Gordon Martin, and engineer Keith Johnson recorded the music at Skywalker Sound, Nicasio, California in May 2018. As we might expect from a small ensemble in an ideal setting, their HDCD sound reproduction is as lifelike as one could want. The clarity is astonishingly good, the spacing exemplary, the air and ambience realistic, the dynamics strong. Perhaps some listeners might prefer a more distanced approach to the miking, but there is certainly a greater transparency to the QSF sonics with the slightly closer approach Reference Recordings has taken. Whatever, this is audiophile quality sound in almost every way. Tickets go on sale today for OperaMaine's 25th Anniversary mainstage production of W.A. Mozart's The Magic Flute presented at Merrill Auditorium, Portland, Maine on Wednesday, July 24 and Friday, July 26, 2019. Ticket prices start at $34. To celebrate the 25th Anniversary, a grant from Wells Fargo will allow the first 300 registrants, age 25 and under, to attend for free. To celebrate its 25th Anniversary—and the magic of opera--Opera Maine presents its first-ever production of Mozart's The Magic Flute. Magnificent music draws you into a fantasy world, where Prince Tamino and the bird catcher Papageno embark upon a trial-filled journey to rescue the beautiful daughter of the Queen of the Night. The twisting tale of good, evil, enlightenment, and love will captivate young and old alike. 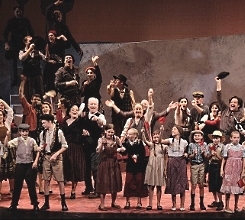 The opera will be sung in the original German with English dialogue and with English supertitles. The company's Principal Conductor, Stephen Lord will conduct the Opera Maine Orchestra and Artistic Director, Dona D. Vaughn, will direct the exceptional cast. Tickets are on sale at PortTIX , the only official box office for Opera Maine. To avoid websites that sell tickets at a markup, tickets may be purchased by calling or visiting the box office, or at OperaMaine.com. The PortTIX box office is located at 20 Myrtle Street in Portland and is open noon to 6 p.m., Monday through Saturday. Call PortTIX office at (207) 842-0800. As former teacher and pupil, and now colleagues, it was particularly special to play alongside each other in the "Vivaldi the Teacher" concert set and in the SESSIONS "The H.I.P Revolution" last month. We are grateful that Philharmonia Baroque Orchestra and The Juilliard School's Historical Performance program established a collaboration that would bring students and professional musicians and teachers together. The partnership comes in many forms, including residencies, mentoring, and side-by-side performances. We all believe the future of historically informed performance relies on investing in specialized training for young musicians and nurturing their careers by providing performance opportunities. We ask for your investment in the next generation of historically-informed musicians. The Economist said this year, "The former rebels are no longer on the fringes, and have inspired a new generation of musicians," and we are proud to be a part of the movement. We greatly appreciate your support. From one generation to the next, thank you for your passionate support of historical performance. Orpheus Chamber Orchestra Presents "Homeward Sounds"
On Saturday, January 12, 2019 at 7:00 p.m. at Stern Auditorium / Perelman Stage at Carnegie Hall, NYC, Orpheus Chamber Orchestra presents "Homeward Sounds," a program delving into the sounds of Mozart and Dvorák's rich lives in Salzburg, Vienna, and Prague. The concert features the New York premiere of Dvorák's Bagatelles, Op. 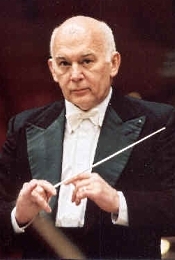 47 arranged for chamber orchestra by conductor/arranger Dennis Russell Davies, as well as Mozart's Piano Concerto No. 27 with Spanish pianist Javier Perianes, and Mozart's Symphony No. 33 in B-flat Major, K. 319. These works will provide a springboard for New York composer James Matheson's Still Life, which opens this program and reflects contemporary American sensibilities. This piece was made possible by a grant from the Fromm Music Foundation. The program will also be performed on January 5, 2019 at the Adrienne Arsht Center for the Performing Arts in Miami, FL, marking the world premieres of the works by Davis and Matheson; and on January 6, 2019 at Walter S. Gubelmann Auditorium in Palm Beach, FL; January 9, 2019 at Halton Theater at Central Piedmont Community College in Charlotte, NC; and on January 10, 2019 at Wright Auditorium at East Carolina University in Greenville, NC. Single tickets for the January 12 performance, priced from $12.50 to $115, are available for purchase at the Carnegie Hall box office at 57th and 7th and can be charged to major credit cards by calling CarnegieCharge at 212-247-7800, or by visiting the Carnegie Hall website at carnegiehall.org. Soprano Mary Wilson, one of American Bach Soloist audiences' most treasured guest artists, is back this week to reprise her legendary performance of Handel's Messiah in Grace Cathedral. An annual holiday tradition, these performances meld together Handel's glorious music with the serene beauty of one of San Francisco's greatest architectural treasures. Friday December 14, 2018 7:30 p.m.
Vocal Point, the YouTube sensation and chart-topping nine-man a cappella group, is gearing up to bring its music to a much bigger stage. With the release of their latest music video, "What Child is This?" Vocal Point has announced that they've signed a recording deal with Decca Gold, Universal Classics, US, part of Universal Music Group (UMG), the world's largest music company in the world. Graham Parker, President of Universal Music Classics, US, says of the signing, "Vocal Point has been bringing joy and incredible musicality to audiences for many years, and so I am delighted they have joined Universal to take their collective talents to an even wider audience both here in the U.S.A. and around the world." UMG initially reached out to Vocal Point two years ago and expressed interest in working with the group. Vocal Point's producer and artistic director McKay Crockett says, "I thought it was exciting but way too good to be true — flattering, but it'll never happen." It did happen. And with the new deal, Universal Classics, US and Decca Gold will be helping Vocal Point with all aspects of their brand, including physical and digital music release and distribution, touring, social media and more. Winner of the 2018 Grammy Award for Best Choral Performance, The Crossing makes its New York Philharmonic debut in world premiere performances of Julia Wolfe's Fire in my mouth on Thursday, January 24, 2019 at 7:30 p.m., Friday, January 25, 2019 at 8:00 p.m., and Saturday, January 26, 2019 at 8:00 p.m. at David Geffen Hall at Lincoln Center. Led by New York Philharmonic Music Director Jaap van Zweden, Julia Wolfe's immersive Fire in my mouth--featuring video, theatrical lighting, and nearly 150 women vocalists--explores the 1911 Triangle Shirtwaist Factory Fire in New York City which killed 146 garment workers, most of them young, female immigrants. The tragic decisions that led to the devastation instigated protests that led to changes in labor laws. Thirty-six women of The Crossing and conductor Donald Nally will be joined by 110 women of the Young People's Chorus of New York City, led by director Francisco J. Núñez. Fire in my mouth features video and scenic design by Jeff Sugg and is directed by Anne Kauffman. Tickets: $33-120 at nyphil.org or by calling (212) 875-5656. The brilliant and audacious stars of New York's Cantata Profana--as comfortable on period instruments as they are on modern ones--juxtapose masterpieces from the medieval era to the 21st century in lovingly curated shows filled with unexpected works and daring theater. On January 18 and 19 they premiere their boldest creation yet: VISIONS OF SILENCE at St. Peter's Church in Chelsea (346 West 20th Street, NYC). The church is perfectly matched to this mystical program, with its slightly dilapidated yet beautiful looks and perfect acoustics (clear as a bell without being swampy). Lighting design and staging combine to intensify the drama. The program centers around a theatrical presentation of Salvatore Sciarrino's 1998 Infinito Nero, an "Ecstasy in One Act" for voice (the exquisite soprano Alice Teyssier) and 8 instruments, and conducted by Cantata Profana's Artistic Director Jacob Ashworth. Infinito Nero hasn't been done in New York in many years--and very rarely before then. The holiday season is a time to be with friends, families, and loved ones. Having been a musician since I was a child, I know firsthand the importance of music in bringing people together. When I worked with YPC on my holiday album, I was so moved to see children from all over New York City united by their love of music, singing with one voice. Please join me this holiday season in supporting an organization unlike any other, where children from all backgrounds lead the way with their example of respect, understanding and beautiful harmony. Music of J.S. & J.C.F. Bach, Telemann, and Couperin. Allan Vogel, oboe; Janice Tipton, flute; Patricia Mabee, harpsichord, Mark Chatfield, viola da gamba; Nancy Sartain, continuo harpsichord. Delos DE 3214. 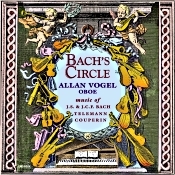 Oboist Allan Vogel reminds us in his booklet essay that, "In his mature years, Johann Sebastian Bach's circle of family, friends, students and colleagues was a large one. Bach was known to be a hospitable man who would often have concerts for this extended family in his home. Such a concert is the inspiration for this recording." Of course, Bach may not have had Couperin in his own house, but his influence on Bach's work would have been considerable. Telemann, on the other hand, was the godfather to one of Bach's sons, so his impact was both personal and musical. Anyway, the present disc begins with Telemann's Trio Sonata in E-flat Major and then goes on to Bach's Sonata in G Minor, BWV 1020, and Sonata in G Minor, BWV 1030b, the former much simpler and shorter than the more elaborate later work. The centerpiece of the program is Couperin's Concert Royal No. 4 in E Minor, an elegant set of dances; and the concluding work is son J.C.F. Bach's Sonata in C Major, the blithest and merriest of the sonatas, which makes a fitting conclusion to the agenda. 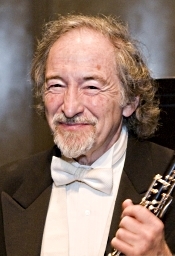 Allan Vogel is among the country's leading oboe players (and former Principal Oboe of the Los Angeles Chamber Orchestra). Here, he amply demonstrates his skills with delicate and graceful solo passages, particularly charming in the C Major Sonata where he plays a lighter, sweeter-sounding oboe d'amore. The small ensemble--Vogel, oboe; Janice Tipton, flute; Patricia Mabee, harpsichord, Mark Chatfield, viola da gamba; and Nancy Sartain, continuo harpsichord--play with ease and precision, always displaying a charming interaction and an effortless control. I had not heard a Delos recording of chamber music before this one, released in 1998, and I was impressed by the clarity and definition the engineers brought to the sound, without sacrificing much in the way of natural room acoustics. They recorded the group a bit close for my taste, it's true, and the imaging does not allow for much front-to-back perspective (not that that matters so much with so few players), but other than that it is fairly realistic. This is the kind of album that makes for either undivided primary listening or relaxing background music. Seems almost a shame, though, to waste it on background alone. Monday December 31 2018 4:00 p.m., Herbst Theatre, San Francisco, featuring Aryeh Nussbaum Cohen, countertenor, and Mary Wilson, soprano, with the American Bach Soloists Orchestra, Jeffrey Thomas, conductor. This special event, presented in San Francisco's beautiful Herbst Theatre--a cornerstone and jewel among the city's most prestigious venues--will feature one of the opera world's exciting new vocal talents, countertenor Aryeh Nussbaum Cohen. The 2017 Metropolitan Opera National Young Artists Award Winner, former Merola Opera Program participant, 2018 San Francisco Opera Adler Fellow, and ABS Academy alumnus has been capturing the hearts of opera lovers around the world. Aryeh Nussbaum Cohen will perform arias by Handel and Gluck. Joined by the incomparable soprano Mary Wilson, and along with a delightful program of instrumental music from opera and concert, this early night on the town will joyfully ring in the New Year in elegant style. 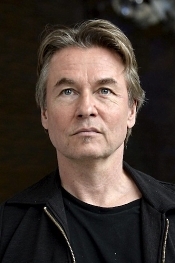 San Francisco Symphony President Sakurako Fisher and Chief Executive Officer Mark C. Hanson today announced that Esa-Pekka Salonen will become the Orchestra's next Music Director, beginning in September 2020. As the San Francisco Symphony's 12th Music Director in its 107-year history, Salonen will succeed Michael Tilson Thomas, who concludes his 25-year tenure as Music Director in July 2020. One of the most influential and creative forces in music, Salonen has, through his many high-profile conducting roles, work as a leading composer, and as an advocate for accessibility and diverse musical voices, shaped a unique vision for the present and future of the symphony orchestra. Assuming his role as Music Director Designate immediately, Salonen will lead the SFS January 18–20, 2019 in a program featuring the SFS premiere of Icelandic composer Anna Thorvaldsdottir's Metacosmos, Richard Strauss's Also Sprach Zarathustra, and Sibelius's Four Legends from the Kalevala. He will return as Music Director Designate in the 2019–20 season to conduct at least two weeks of programs. In September 2020, Salonen begins his tenure as Music Director with an initial five-year contract, conducting the SFS in six subscription weeks and on a tour of Asia. Beginning in the 2021–22 season, Salonen will conduct 12 to 14 weeks each season. He will conclude his tenure as Principal Conductor and Artistic Advisor for London's Philharmonia Orchestra in 2021. "Winter Wonder: A Festive Winter Concert"
Young People's Chorus of New York City culminates its 30th anniversary year with "Winter Wonder," a holiday concert featuring the artistry and showmanship of YPC's young choristers and special guest, Time for Three, in a program of new music and fresh arrangements of holiday favorites. Tickets from $30-$125 on sale now as well as Special $200 Concert Sponsor Prime-Seat Tickets. 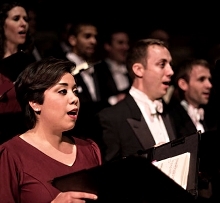 "For the Miracles: A Holiday Celebration"
Sunday, December 9 at 3:00 p.m.
YPC and Associate Artistic Director Elizabeth Núñez celebrate the holidays at the Metropolitan Museum of Art with a program of joyous music that celebrates two holiday traditions. "New York's Oldest Christmas Tradition"
Assistant Conductor Maria Peña and YPC return to the Church of the Intercession to open the church's century-old holiday tradition: a performance of holiday music, followed by a candlelight reading of Clement Clarke Moore's "Twas the Night Before Christmas." 39th Annual "A City Singing at Christmas"
Thursday, December 20 at 7:00 p.m.
Join YPC, Glen Cove High School Select Chorale, St. Patrick's Cathedral Choir, The Cathedral Organs, and New York Symphonic Brass for a free program of traditional and contemporary Christmas hymns and carols in the majesty of St. Patrick's Cathedral. Come early for the best seats! "In the Wake of the Marseillaise: Songs of Love. Loss and Triumph from the Age of Emancipation"
The Ghetto drowned in the wake of the Marseillaise. Napoleon's conquering armies marched through European capitals, and ancient hierarchies crumbled to the tune of "Liberté, Égalité, et Fraternité." Tumbling bricks followed rolling heads, and the Ghetto wall that had separated Jew from Gentile collapsed to dust. At least until it rose again. Deutsche Grammophon is marking the 120th anniversary of its company foundation on December 6, 1898 with a carefully curated global program of DG120 live concerts, special events, record releases and much more. The world's oldest and best-known classical label will use its anniversary year to continue building a lasting legacy. The company's unprecedented DG120 program has been designed to reach existing fans worldwide, attract new followers in Asia and beyond, and share its peerless catalogue with as many people as possible. The birthday celebrations began with the spectacular DG 120 – The Tokyo Concert, held at Tokyo's legendary Suntory Hall last night, December 5, in the presence of the Japanese imperial family. Anne-Sophie Mutter joined Seiji Ozawa, Diego Matheuz and the Saito Kinen Orchestra for a program of works by Bach, Beethoven, Saint-Saëns and Tchaikovsky. 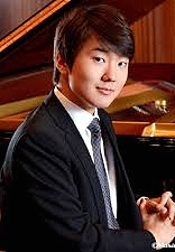 In Korea, Seong-Jin Cho marks Deutsche Grammophon's actual birthday in style today with DG120 – The Seoul Anniversary Concert, performing Mozart's Piano Concerto in D minor K.466 with the Seoul Philharmonic Orchestra and Lionel Bringuier at the Seoul Arts Center. Anne-Sophie Mutter joins the Seoul party tomorrow, Friday, December 7, opening the evening's program with Bruch's evergreen First Violin Concerto. The celebrations continue well into 2019. Inaugurated in 2017 and now entering its third year, Snapshot is a collaboration between West Edge Opera and Earplay dedicated to getting new operas on their feet and giving audiences peeks into developing works from West Coast composers and librettists. This year's program will feature celebrated soprano Marnie Breckenridge singing Nathaniel Stookey's haunting monodrama, Ivonne, with libretto by Chicago playwright Jerre Dye. Inspired by an abandoned Sears building, the opera follows the head secretary of a steno pool as she prepares for yet another day at the office. Her preference for order and structure is upended by a co-worker's medical emergency that threatens to shatter her well-groomed exterior. The performances will take place on Saturday January 19th, 2019 at 8:00PM at the Independent Order of Odd Fellows Hall, 2288 Fulton St, Berkeley, CA 94704 and Sunday January 20th, 2019 at 3:00PM at the Taube Atrium Theater, 401 Van Ness Ave, San Francisco, CA 94102. Tickets are $40.00 and can be purchased from the West Edge web page at http://www.westedgeopera.org/snapshot-2019. The first Foundation to Assist Young Musicians recital for the 2018/19 school year was held on October 20 at the East Las Vegas Community Center. This year's beginning students did not perform because they have only had violins in their hands for a few weeks. They will definitely play at our next recital in December. On another note, parents of FAYM have been working together to assure that our Violins For Kids program continues for their children. They have been working on fund raisers such as candy sales, organizing yard sales and are searching for other ways to help bring in money. It is important that all our wonderful donors that have been helping us over the years know that our families are taking an active role in helping our program grow. By all of us working together as the 'FAYM Family,' we are assuring that our kids get a wonderful opportunity to grow and learn! Usher in Festival Mozaic's 50th Anniversary on a Specially-Curated Danube River Cruise! To celebrate Festival Mozaic's momentous 50th Anniversary in 2020, we have asked Amadeus Cruises to curate a concert-filled river cruise. The itinerary along the Danube will include private classical concerts that will be exclusive to our group, in spectacular venues such as the Salburg Mozarteum, Melk Abbey, and Duna Palace. But there's a catch: If we do not have at least 35 committed passengers, Amadeus Cruises will not be able to make this very exclusive, concert-filled itinerary available to us after December 14, 2018. This cruise is a fundraiser for Festival Mozaic, so a portion of the cost of the cruise is tax-deductible. In recognition of the 50th Anniversary, we are limiting space to only 50 classical music fans. Don't miss out on this once-in-a-lifetime experience! Join your fellow Festival Mozaic enthusiasts for this extraordinary 50th Anniversary cruise on the Danube, with an itinerary that is designed especially for classical music lovers. Renaud Loranger, the new artistic director, announces partial programming for the 42nd Festival de Lanaudière. Guest artists include Yannick Nézet-Séguin, Kent Nagano, Marc-André Hamelin, Veronika Eberle, and Seong-Jin Cho. The 42nd season of the Festival de Lanaudière will feature two renowned Montreal orchestras: the Orchestre symphonique de Montréal (OSM) and the Orchestre Métropolitain (OM). Just six weeks after coming on board, the Festival's new artistic director, Renaud Loranger, is prepared to announce four programs with two famous ensembles: "It is an honor to offer music lovers these two great Montreal orchestras as part of the same season," he states with pride. "The OM and OSM always take great pleasure in returning to the Fernand Lindsay Amphitheatre to perform for Festival audiences." Tickets for these four exceptional concerts will go on sale at noon on Friday, December 7 at lanaudiere.org, at the Place des Arts box office (514-842-2112 or 1-866-842-2112), and at placedesarts.com. Bay Area Musicals (Matthew McCoy, Founder & Artistic Director, and AeJay Mitchell, Managing Director) has announced the line-up of performers for the Company's first annual Holiday Benefit Fundraiser, "Once Upon a December"--an evening celebrating family, community, and the Holiday season. This merry and bright holiday cabaret will star some of the San Francisco Bay Area's best musical performers, including Jenny Angel ("Seussical"), Alissa Sanchez ("The Wedding Singer"), Jesse Cortez ("Crazy for You"), and Jack O'Reilly ("La Cage Aux Folles," "The Hunchback of Notre Dame"), among many others (and perhaps even a special appearance by Mr. Claus himself)! Audiences will enjoy beautiful renditions of Yuletide and show tunes, while food and cocktails will be available to purchase. "Once Upon a December" will perform on Wednesday, December 19, 2018 at 7:30 p.m., followed by a second show on Thursday, December 20, 2018 at 7:30 p.m. On both evenings, cocktails will be available prior to the performance (beginning at 6:30 p.m.), and both evenings will conclude with a post-performance after-party. Both performances will take place at San Francisco's Gateway Theatre (215 Jackson St, San Francisco, CA 94111). Tickets range from $25 - $45 and can be purchased online at www.bamsf.org/once-upon-a-december. 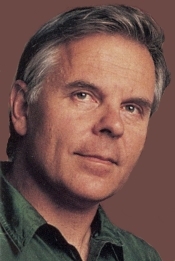 Alun Francis, Radio-Sinfonieorchester Basel. CPO 999 539-2. 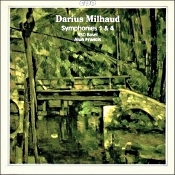 The French composer and conductor Darius Milhaud (1892-1974) wrote his Symphony No. 1, Op. 210 in 1939, at the beginning of the Second World War. He was nearly fifty years old at the time and had never written a complete symphony before. While he did not give the symphony a set program, the listener can infer freely from its varied material a possible scenario. The opening movement is light, pastoral, free, and easygoing. It calls to mind the lull before the storm, the peace before the War. The second movement opens boisterously, perhaps representing the War itself. The third movement is slow and serious but with little sense of danger; maybe wishful thinking. Then the finale brings us back to the martial music of the second movement and returns to a relaxed conclusion, possibly Milhaud anticipating a speedy resolution and end to hostilities. Or not. Certainly, he couldn't have anticipated the horrors to come. In the next twenty years, Milhaud would go on to write a dozen more symphonies. The Fourth Symphony, Op. 281 is decidedly programmatic, the composer having been commissioned by the French Minister of Education to write a piece based on the one-hundredth anniversary of the Revolution of 1848. Each movement represents a phase in the Revolution, bringing contrasting styles and tempi to a sound picture of vivid contrasts. Both symphonies are pleasing to the ear, much different from the composer's earlier, more experimental works. Maestro Alun Francis and the Basel Radio Symphony Orchestra bring both joy and despair to the pieces as they require and generally sets up a stately presence throughout. Neither work is particularly striking, yet Francis does a pretty good job bringing out their more imaginative and pictorial qualities. The orchestra likewise sounds good, although the sound it produces appears a tad undernourished compared to, say, the Berlin Philharmonic or Concertgebouw orchestras. Nevertheless, the ensemble displays a fine athleticism and flies through the musical scores with a fair degree of poise. Miked at a moderate distance, the CPO album, recorded in 1995 and released in 1998, offers the listener a reasonably accurate facsimile of a real symphony orchestra. There is a realistic hall ambiance, a good stage depth, a modest frequency and dynamic range, and as much orchestral detail as we might expect from perhaps a fifteenth row seat or thereabouts. It is a not a recording to wow an audiophile or knock the socks off a neophyte; it just sounds like a large ensemble of players performing in your living room. I say good enough. 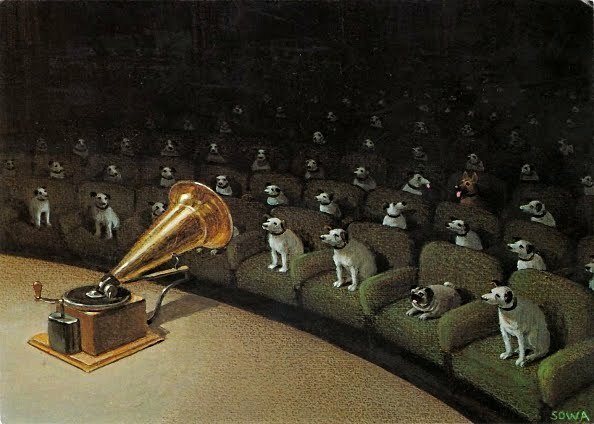 The Music of J.A. Kawarsky. Various orchestras and conductors. Navona Records NV6194. If you are like me, you may not be familiar with the name of American composer, conductor, and music professor Jay A. Kawarsky (b. 1959). 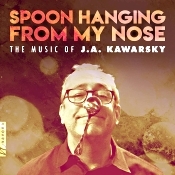 However, the title and cover art for this first album devoted entirely to his compositions and arrangements, "Spoon Hanging from My Nose," was too hard to resist. Perhaps Kawarsky's most famous composition, Prayers for Bobby, premiered in 1996 with actress Marlo Thomas narrating and has been performed many times since. Unfortunately, it is not among the pieces on the present album. Nevertheless, it was a fortuitous decision on my part to take a chance and listen to the disc; the music it presents is pleasing, creative, and diverting. The program consists of four major Kawarsky selections. The first is called Fastidious Notes for solo alto saxophone and chamber orchestra, here performed by Jonathan Helton, alto sax, and the Chicago Arts Orchestra led by Javier Mendoza. As Kawarsky wrote the piece for saxophonist Helton, we have to imagine Helton's interpretation being definitive. It's certainly authoritative and immaculately played. In fact, the whole work is easily accessible, and, as Kawarsky notes, if there are any hints of other composers in the music, well, imitation is the highest form of flattery. The second item is the longest, a series of eighteen selections: the Brahms Liebeslieder Waltzes, originally written in 1868-69 for vocal quartet and piano four hands and here orchestrated by Kawarsky for multiple voices (the Arizona Choir) and ten instruments. These pieces are really quite beautiful, quite lyrical and lilting renditions, and Brahms is, after all, Brahms. It's charming. The third item on the agenda is called And We All Waited, written for orchestra alone. Kawarsky calls it a reaction to the lack of any new legislation or regulation after the Sandy Hook Elementary School shootings. The Moravian Philharmonic Orchestra performs the work under the direction of Maestro Petr Vronsky. Again Kawarsky provides hints of other composers, in this case he says Nielsen, Shostakovich, and Reicha, but I also hear Sibelius in there. In any case. the music is not unexpectedly the most somber and earnest on the program. Still, it is easy to listen to because the composer eschews most of the modern conventions that drive audiences to distraction, even Kawarsky's work does get a tad raucous at times. The final item Kawarsky titled Episodes for piano and orchestra, and it celebrates the 75th anniversary of Westminster Choir College of Rider University, New Jersey. 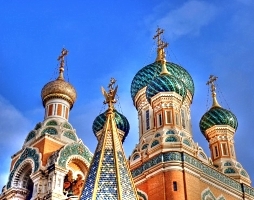 It is performed by the Saint Petersburg State Symphony Orchestra, with Vladimir Lande, conductor, and Peter Laul. piano. It has kind of a jazzy beat, all up-tempo and rhythmic in the opening section and alternating with a more-serene landscape as the piece goes on. The most obvious borrowing the composer incorporates here is from Mussorgsky, and it works nicely. The soloist and orchestra afford the whole work a dignified presentation. Producers John Page, Brad Michel, Vit Muzik, Alexei Barashkin, and Bob Lord, with engineers John McCartney, Brad Michel, Ales Dvorak, Jan Kosulic, and Alexei Barashkin recorded the music at Nichols Concert Hall, Chicago; Tucson Symphony Center, Tucson, AZ; Reduta Hall, Olomouc, Czech Republic; and Studio 1, House of Radio, St. Petersburg, Russia in 2016-2018. The various producers and engineers recorded each of the selections in different venues with differing ensembles, so there are some small, inevitable differences in sound. Overall, though, the sonics are smooth and fairly dynamic, with good depth and width qualities. While the opening solo piano is a bit too close for ultimate realism, it helps the performance by emphasizing the instrument. (The closing piano is better balanced.) The choir in the waltzes sounds particularly appealing, since so often choir recordings can be overly bright or edgy. This one is very lifelike. Detailing is a tad on the soft side yet pleasing on the ear, especially as the high end is so well extended. Perhaps not absolute audiophile, but close enough. Besides, as I say, the album title is hard to resist. Princeton University Glee Club Presents: "Out of the Deep"
"Out of the Deep: Russian Choral Music and the Basso Profundo." Sunday, December 9 at 3PM in Richardson Auditorium, Alexander Hall, Princeton University, Princeton, NJ. 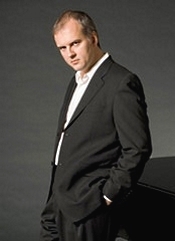 The Princeton University Glee Club has invited leading oktavists Vladimir Miller (Russia), Adrian Peacock (United Kingdom) and Glenn Miller (United States), to come together in an unprecedented gathering--the first time that three such legends of the basso profundo voice from the western and eastern traditions have combined in concert, in the United States. The student singers of the Princeton University Glee Club have spent the current semester learning about the Moscow Synodal tradition, mastering the challenges of the 'church slavonic' language, and preparing repertoire by Tchaikovsky, Rachmaninoff, Kastalsky, Chesnokov, Gretchaninoff, and Golovanov. In the first week of December, the three guest vocalists will arrive in Princeton for a week of intensive work with Princeton University students, in which they will lead rehearsals on December 3, 5, 7 and 8. During these rehearsals they will teach members of the Princeton University Glee Club to sing the Church Slavonic language, how to intone Znamenny and Kievan chant, and how to infuse Synodal repertoire with the rich vocal colors it needs to sound authentic. This work will culminate in a collaborative concert staged by the Glee Club, and featuring the three guest oktavists on Sunday, December 9 at 3PM in Richardson Auditorium, Alexander Hall, Princeton, NJ. The Chelsea Symphony, featured in the hit Amazon show Mozart in the Jungle, continues its 2018/19 season, entitled "Resolution," with a holiday concert on December 7 featuring actress and musician Annie Golden, known for her role in Orange is the New Black, as the guest narrator for the orchestra's own special version of The Night Before Christmas by composer Aaron Dai. This concert is conducted by Reuben Blundell, Mark Seto, and Nell Flanders and will be presented at St. Paul's Church, 315 West 22nd Street, NYC. The holiday concert also includes selections from Hänsel und Gretel by Engelbert Humperdinck, the Christmas Overture by Samuel Coleridge-Taylor, and Leroy Anderson's "Sleigh Ride." 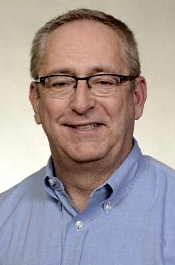 As is the tradition, "Sleigh Ride" will be conducted by the winner of the previous year's silent auction, Ray Cerabone. Clarinetist Erik Jönsson performs as featured soloist on Paul Ben-Haim's Pastorale Variée for clarinet, harp, and string orchestra, clarinetist Christine Todd performs the Adagio movement from Mozart's Clarinet Concerto in A Major, and violinists Nicholas Pappone and E. J. Lee, violist Elizabeth Holub, and cellist Talia Dicker join forces for the string quartet part to Edward Elgar's Introduction and Allegro. Premium unassigned seating in special reserved areas are $25 on Eventbrite. Limited day-of tickets available at the door for a suggested donation of $20. Come away to Vienna in the dawning decades of the 19th century, as late fruits of Classicism ripen alongside early blossoms of Romanticism. Violin virtuoso and impresario Franz Clement has composed a violin concerto that will inspire Beethoven to pen one of his own for Clement the next year. Guest soloist Rachel Barton Pine was the first in the world to record the Clement Violin Concerto, and will reprise her deeply-researched performance with the Philharmonia Baroque Orchestra in a perfect match of historically-informed sensibilities. Delicious works by Mozart and Schubert round out the program. 50% Off Tickets to Viennese Pivot! Gamelan has by far been the non-Western musical genre that has most impacted the Western classical music tradition. On Wednesday, January 23, 2019 at 7:30 p.m. at the Washington National Cathedral, conductor Angel Gil-Ordóñez and PostClassical Ensemble (PCE) will take listeners on a survey of gamelan, the traditional percussive ensemble music of Indonesia, in "CULTURAL FUSION: The Gamelan Experience." The concert explores the gamelan's influence on classical music across 120 years, beginning with the 1889 Paris Exposition (World's Fair), where Claude Debussy first experienced the allure of Indonesian music and dance—an introduction that transformed Western music via Debussy and countless other composers. 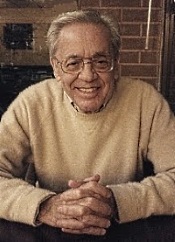 From there, PCE explores other celebrated composers who have incorporated the sound and spirit of gamelan into their work—from Maurice Ravel, François Poulenc, and Olivier Messiaen, to the trailblazing Colin McPhee (the first Western composer to lead an ethnomusicological study of Bali), and Bill Alves and Lou Harrison. Tickets and information are available at www.postclassical.com. A gamelan is a collection of primarily percussive instruments played by multiple performers at once. Audiences will simultaneously hear a tapestry of metallophones, xylophones, gongs, and voice, as well as bowed and plucked strings. Indonesia boasts two different styles of gamelan, both of which can be heard during "CULTURAL FUSION: The Gamelan Experience." During intermission, audience members can approach the gamelan up-close and enjoy informal demonstrations from the musicians. The immersive concert will transform the Washington National Cathedral with dancers, archival films, and more. Both a Javanese and Balinese gamelan and accompanying musicians will be assembled in the middle of the Cathedral's nave, with the audience seated around them for a 360-degree viewing experience. For the first time since 2013, musicians from the prestigious Oberlin College Conservatory of Music come to New York in January 2019 performing diverse concerts in two of the city's most celebrated venues. Representing not only the exemplary standard of young artists who study at Oberlin, but the extensive range of opportunities offered to them while studying, these performances include both instrumentalists and vocalists in classical, contemporary, and jazz repertoire ranging from Debussy to 29-year-old Oberlin faculty composer Elizabeth Ogonek. These concerts include the debut of Oberlin's new jazz ensemble initiated by jazz legend Sonny Rollins, made possible by a substantial gift to the conservatory from Mr. Rollins himself, and a large-scale performance with the full Oberlin Orchestra and Choir at Carnegie Hall. Winner of the 2016 International Opera Readers Award, Ermonela Jaho became a firm favourite with London audiences following her moving portrayal of Suor Angelica in Puccini's Il trittico staged at Covent Garden in 2016. As the London Evening Standard wrote, her performance was "as glorious as ever, investing the character of the traumatised nun with the same combination of gleaming tone and expressive intensity." The following season saw her Cio-Cio San, hailed by The Independent "as the best Madama Butterfly London has seen in years". Following a one-off concert performance in the autumn at the Royal Festival Hall as Anna in Le Willis--Puccini's first stage work heard for the first time in 120 years in its original one-act version--Jaho returns to Covent Garden in the New Year to sing the role that at the age of 14 made her fall in love with opera--Violetta in Verdi's ever-green La traviata.